The Genius of Ayrton Senna in One Video. I’ve always held Ayrton Senna in high esteem but I came across a video recently that really made me appreciate his intuitive genius. This particular example isn’t him running a screaming lap through the streets of Monaco but something even more impressive. 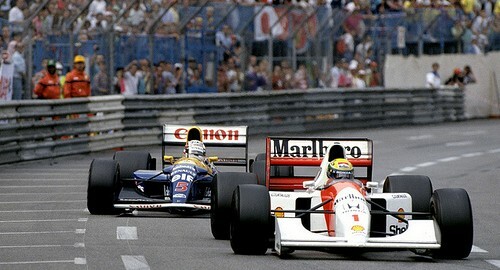 During a practice session, Senna realizes that he has a deficient engine despite the fact that the engineers and telemetry don’t show any problems. After talking to the McLaren mechanics and team manager, they decide to replace the engine without any proof that there is anything wrong simply because their driver has a hunch. They end up replacing the engine and when it’s stripped down, they determine it had a defective camshaft. You can watch the video from the start and see Ayrton’s interactions with his lead mechanic and preparation for qualifying or skip to 7:10 to see his genius in action. One thing that I think is the true sign of a good leader is someone who can make crucial decisions often without analytical data to support them. The problem is that so many of those decisions are wrong and very few people can make consistently make correct decisions.